OPN recently caught up with Ron Clark, chief supply officer and one of the co-founders of Imperfect Produce. Ron has an extensive produce background, having worked for California food banks for 15 years sourcing “ugly” produce before he joined Imperfect. OPN Connect: What exactly does Imperfect Produce do? You know the drill. You wash, size, sort and segregate, pulling out the fruits and vegetables that cannot be sold because of how they look. Increasingly strict retails specs have created a system where between 10 and 40% of your crop may never see a retail store, much less a dinner table. Imperfect Produce is hoping to change this, by partnering with organic growers and helping them find a good home for “ugly” produce that retail stores won’t buy. The 2 year old company delivers ugly produce directly to consumer’s doors, and is focused on reducing waste at the farm level. They do this by sourcing those ugly fruits and vegetables directly from growers, helping farmers increase their revenue per acre and feed more people with less wasted land, labor, water, and fertilizer. Customers can select the box size and frequency that suits their lifestyle and they can choose which fruits and vegetables they’d like in their box each week from an ever-changing list of delicious, seasonal produce. The company regularly educates consumers about food waste and where their produce comes from through social media and has found their customers to be really appreciative of and receptive to this information. OPN Connect: What was the reason for founding Imperfect Produce? Imperfect was founded to solve several core challenges in our food system. We’re about helping growers find a home for all of their produce, regardless of its shape, size, or appearance. It is our belief that fresh market growers want all of their produce eaten and be rewarded for the work they’ve put into growing it. Who doesn't love all their own children? One misconception about Imperfect is that we’re trying to force our #2 product into stores to undercut the #1 product that growers are working so hard to cultivate and get into stores. To be clear, we’re all about reducing food waste at farm level and supporting farmers financially. We are not competing for retail shelf space but are rather providing another, rewarding outlet for product that cannot be sold at the retail level. OPN Connect: How many of your growers are organic? What percentage? We work with over 50 organic growers. About 60% of our total growers are organic and the organic box is our most popular category of box, accounting for 60% of our orders. OPN Connect: Where do you source your produce? When it’s in season, we source our produce locally as possible. We are about reducing waste first and foremost though, so we do source from farther away when necessary. Food waste doesn’t have borders so neither does our sourcing. We work with organic growers in Mexico, for example, who provide us with things like bell peppers and herbs in the winter. We’ll also buy tropical produce that has been imported into the US only to get rejected for size or appearance reasons. OPN Connect: What is your Mission? We’re focused on helping find a home for produce with cosmetic quirks so that it doesn’t have to go to waste and can earn farmers a better yield per acre. As growers know too well, most rejections occur for simple cosmetic defects: size, shape, color, scarring, growth cracks, limb rub, hail or rain damage. This is precisely where Imperfect can improve your revenue yield per acre. We pay on average 30 to 50 percent below terminal pricing which is higher than processors offer and far better than this disking or sending to animal feed. OPN Connect: Where do you deliver? Are you expanding to other areas? We deliver to the entire Bay Area, Los Angeles, Orange County, and Portland, Oregon. We are growing quickly and are aiming to be in more metro areas in the years ahead. 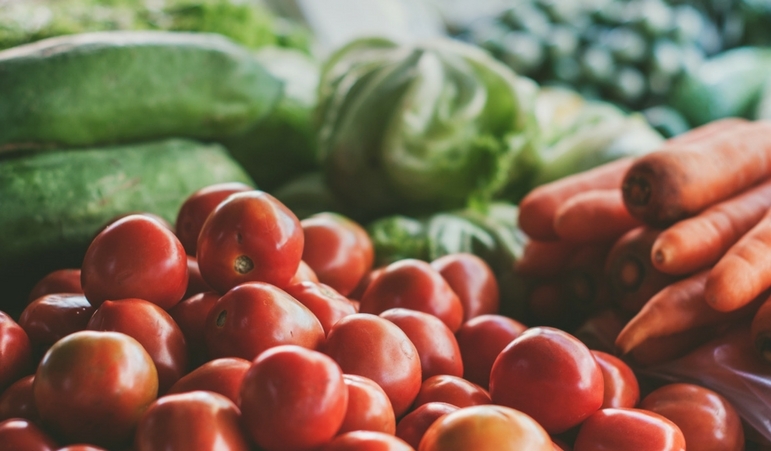 OPN Connect: How can organic growers work with Imperfect Produce? We’re always to looking to find new growers to work with. Interested organic growers should send us an email at supply@imperfectproduce.com. Beside your good work in combatting food waste do you want to speak about your philanthropic and sustainability work? We believe that Fighting food waste and fighting hunger are truly interconnected, which is why every week, we donate thousands of pounds of delicious, healthy fruits and vegetables to food banks in the Bay Area, LA, and Portland. Anytime we have excess produce in our warehouse that cannot make it into a box, we find a way to get it to an organization that will use it to make a difference in our community. 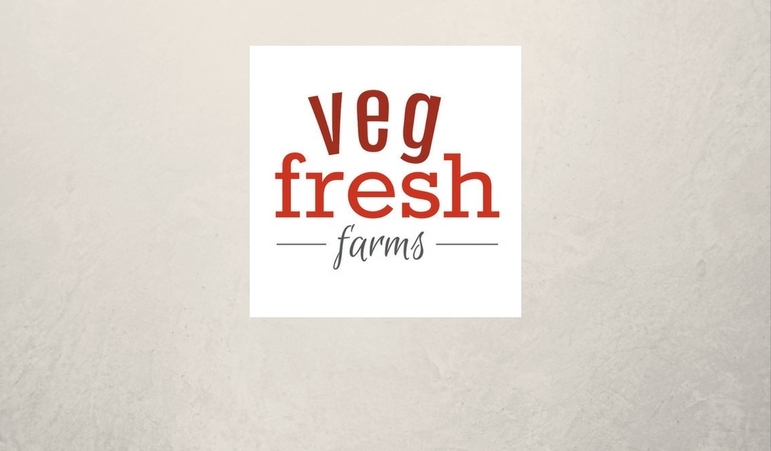 From its beginning in 1989, Corona, CA, based Veg-Fresh Farms has had a committed organic component to its business, but the sector of the business expanded tremendously four years ago and exponentially the past two years. 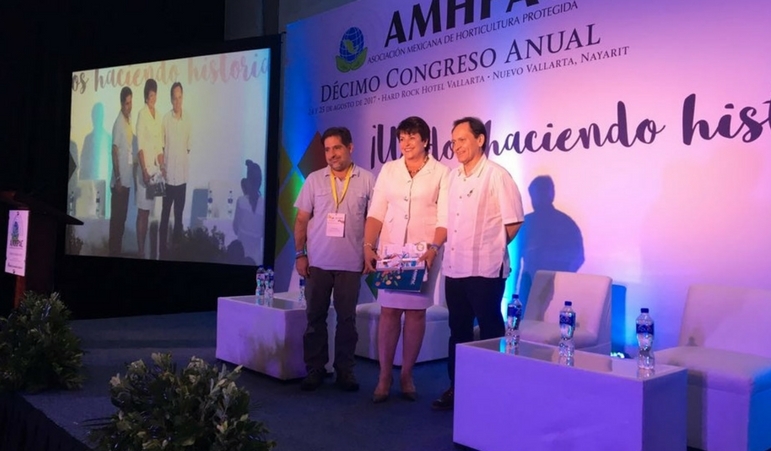 Tonya Antle, Cofounder and EVP of The Organic Produce Network, was a featured speaker this past week at AMHPAC (Mexican Association for Protected Agriculture). This association is a group of 280 companies related to the production, packaging, distribution and inputs in the production chain of protected agriculture. Organic Fruit and Vegetable Producers: Sonny Perdue Wants You! The U.S. Department of Agriculture (USDA) recently announced they are accepting nominations from fruit and vegetable industry members to fill 10 seats on the Fruit and Vegetable Industry Advisory Committee (FVIAC). Originally chartered in 2001, the Fruit and Vegetable Industry Advisory Committee (FVIAC) meets up to two times per year to advise the Secretary of Agriculture on issues affecting the fruit and vegetable industry.